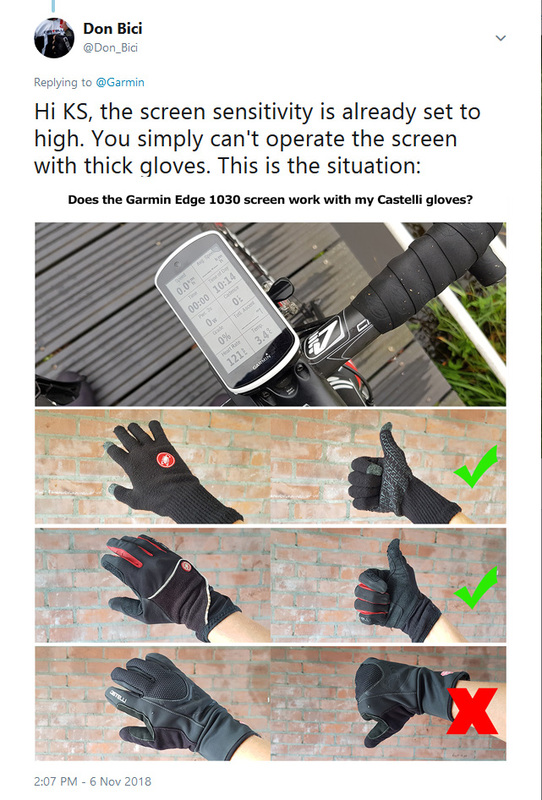 The guys at Garmin got back to me and told me to try and changing the touch sensitivity of the screen. I also tried swiping the screen and that works sometimes but only with a lot of pressure. With the thinner winter gloves both clicking and swiping is no problem whatsoever. I have most info I need on one screen and my Virb cameras automatically start filming as soon as I click start, so for me, not being able to swipe the screen is not really a problem. 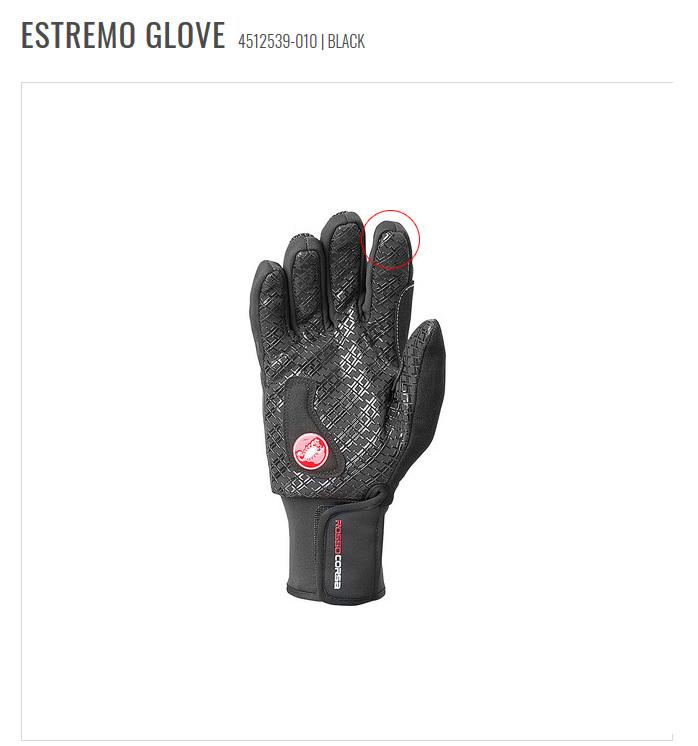 If it is a problem for you, then the Estremo gloves are not for you (too bad, because they are brilliant winter gloves!). Conclusion: With the Estremo gloves you can use the Edge 1030 by clicking on the screen, but swiping just doesn’t work (well enough). I’m pretty sure that if you have thick winter gloves that don’t have silicone texture or something similar on the inside, you can’t use the Edge 1030 at all. If you have thick winter gloves with which you can actually swipe the screen of your Edge 1030, let me know what gloves (band and model) you have!